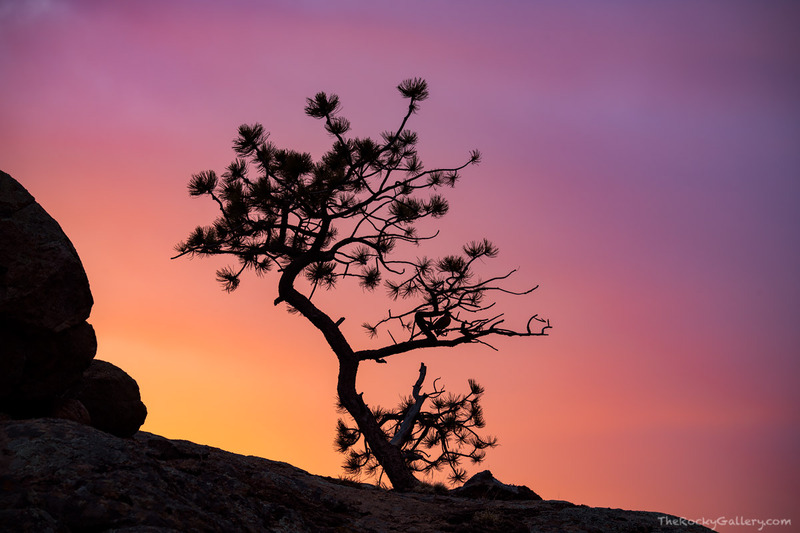 On a rocky outcropping in Moraine Park a lone Ponderosa Pine tree welcomes another brilliant sunrise over Rocky Mountain National Park. One can only ponder the many beautiful sunrise and sunsets this tree gets to witness with one of the best seats in all of RMNP. Photo © copyright by Thomas Mangan.